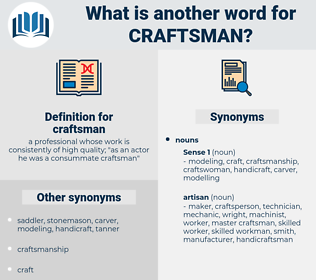 What is another word for craftsman? a professional whose work is consistently of high quality; " as an actor he was a consummate craftsman"
Your affectionate father, J. B. 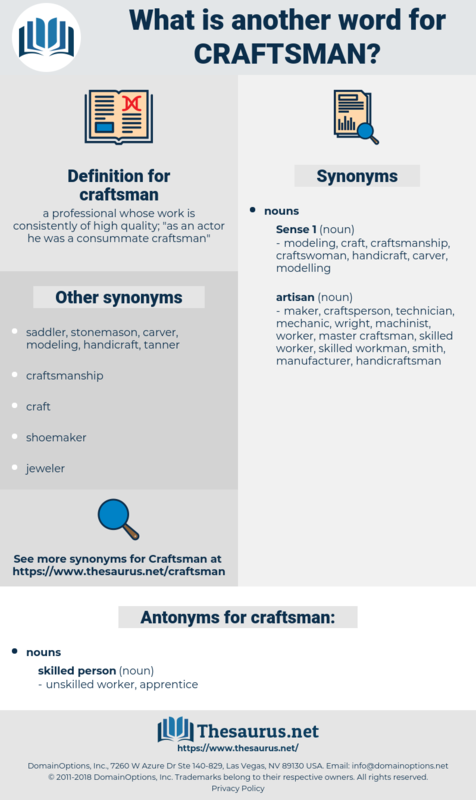 It was very easy to see why Father disliked slang - it was a perversion of his art, and as I have said he had the true pride of the craftsman in his art. If I can invent a phrase I will say that Father had the pride of humility; that is, he had the true spirit of the craftsman - pride in and for his work, and not pride of self. cryptogam, crepe de chine, cryptogamia.